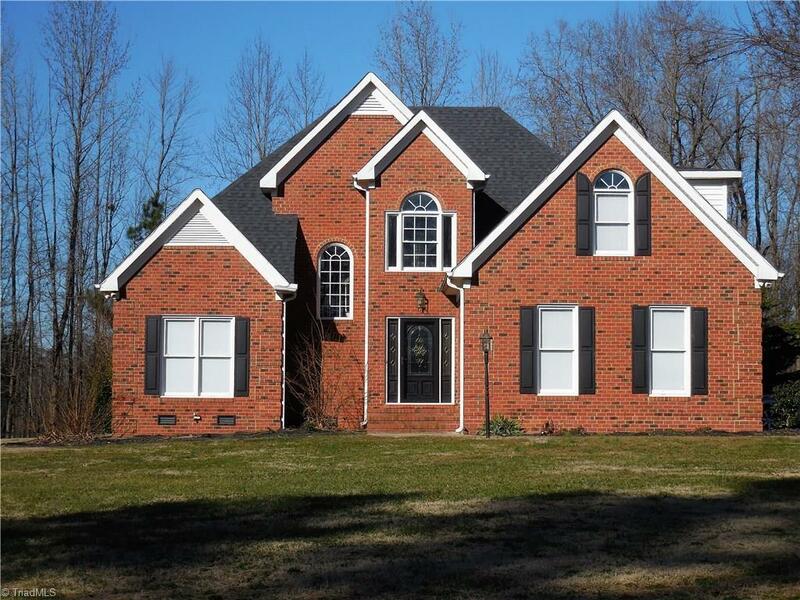 Beautiful, well kept, one owner brick home on almost an acre in Pleasant Garden. Large level yard with storage building that remains. Cozy up by the fireplace in the great room which has a vaulted ceiling. Two-story foyer and granite counter tops in the kitchen. Master bedroom on the main level with a tray ceiling. Two bedrooms upstairs along with a full bath. Walk in access to the attic. Great location in established area with quick access to US 421. Home being sold as-is.